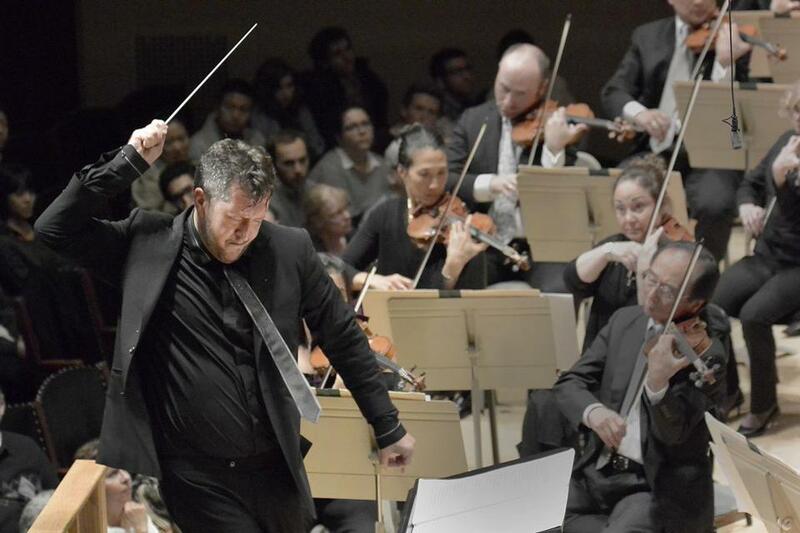 Thomas Adès, pictured guest conducting in 2013, is now the BSO’s Artistic Partner. 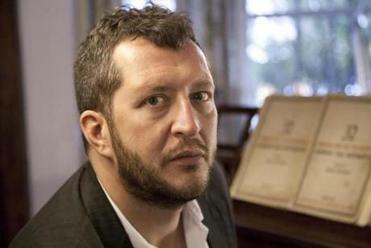 The Boston Symphony Orchestra has just named the acclaimed British composer Thomas Adès as Artistic Partner, the first such appointment in the institution’s history. The three-year post will draw on Adès’s gifts as a composer, conductor, pianist, and programmer, and build on the rapport he established with the BSO over the course of three stellar visits between 2011 and 2013. On Thursday, Adès spoke to the Globe from London about the new chapter ahead, the notion of a shared language between conductor and orchestra, and the quest to build programs that excite the air molecules through the collision of disparate worlds. Q. In recent years, you’ve worked with many different orchestras in the US and Europe. Can I ask what led to your interest, at this point in your career, in taking on a more formal relationship with a single ensemble? A. This arose so naturally from the experience over the years that [the BSO and I] have been doing concerts together, which has been a particularly happy partnership for me. We just decided to make it official. And you’re right, I do have quite widespread activities. But there’s also the feeling that if you can focus these activities in one place, then instead of making just a little pile of sand that blows away, you can build something more. For five or six years I had the Aldeburgh Festival, and then it became time to close that chapter, and I’ve been affiliated with nobody since that time. Now there is a place where I can build something with bricks again, instead of with sand! Q. In your book of conversations with Tom Service, you described the thrill of discovering as a child “the mysterious things that would happen in the air when you, as it were, hung one piece next to another.” Is programming for you today still about discovering what combination of works will elicit those mysterious things? The orchestra’s 2016-17 season will include a new Artistic Partner position, to be occupied by the British composer Thomas Ades. A. Definitely. A concert is the safe space for music to make connections with other music. And not to be too spooky about it, but in a way — because you have composers from the past, from the beyond, and their music comes back to life and it speaks to people who are living — it can be almost like a séance. When you are playing Brahms, you hope to bring it really to life as a living thing — and then you can set the air vibrating with this one set of music, one set of ideas, and all those things about music you can’t describe in words. But then you put another piece next to it, and it sets off this huge sympathetic vibration. It’s perceived differently by every listener of course. But one of the things I really enjoyed in Aldeburgh — and I’m ready to rediscover this feeling — is building these connections. They create the possibility of new stories about where we all are, about the music of the past, and of the present. And in the back of my mind, I’m also thinking about the young composers, and things they will notice, and whether it can set up new corridors for them, new doors for the young composers to open. Q. You will also be working directly with young composers at Tanglewood, where you’ll be teaching as well as curating two editions of the Festival of Contemporary Music. Let’s talk about Tanglewood. A. Yes, Tanglewood! I visited once when I was around 21 years old. It was my first visit to America. The scale of the landscape blew my mind. I remember thinking, what are all these hills? What is that? Is it farmland? For completely practical reasons, I get very little chance to teach or interact with students. But I find it so rewarding to reveal the stuff I suppose I might have learned over the years as a practicing musician, both writing and performing. You don’t quite realize [what you’ve learned] until you hear yourself. And then I think, actually I should act on my own advice! So when you teach, you also very much learn. It’s thrilling to be spending more time at Tanglewood, and maybe I can help somebody. Q. In your past appearances leading the BSO, there was an evident ease of musical rapport. As a composer-conductor, how do you think about this mysterious notion of chemistry? Is it about both parties being able to imagine a similar set of sounds? A. It’s very indefinable. It’s also about the quiver of arrows, the palette of techniques, that I might draw on in my own music. If the orchestra really understands the repertoire instinctively, then it’s much easier to explain [what I am attempting] in my music in a way that no number of markings on the page can communicate. The Boston Symphony to me has a link to Europe in a way that I understand, a link to certain indefinable things that you don’t have to say, but you can show, and then think, “ah, yes, it’s this.” This is a feeling you can also get in Vienna, actually. You don’t have to say certain things: You speak a [common] language about the tonality, the phrasing, the color. The native language of a repertoire is not alien, it’s not something that’s being rediscovered after having been lost. It’s alive, and it’s still there. You feel this in the hall, and you feel it in the playing. And there’s this absolute commitment to new music. It all makes me feel very much at home. Interview was condensed and edited. Jeremy Eichler can be reached at jeichler@globe.com. Follow him on Twitter at @Jeremy_Eichler.